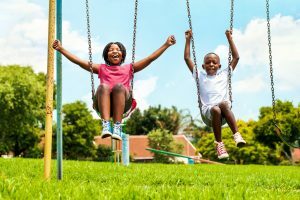 Located along the Atlanta Beltline is the small, southeastern neighborhood of Chosewood Park, a diverse vicinity featuring attractions such as six-acres of greenspace, a children’s playground, tennis courts, a baseball field and basketball courts. Within the perimeter of Chosewood Park, residents can conveniently access beltline attractions such as the D.H. Stanton Park and Boulevard Crossing Park. Possible weekend activities may include a trip to Evertide Brewing, Zoo Atlanta, Dosser Works Paintball, Community Grounds Café or Notch 8 Gallery. Just outside the neighborhood of Chosewood Park are parks such as Ormond-Grant Park, Pittman Park and South Atlanta Park. Those who occupy real estate in Chosewood Park may also visit local businesses such as the Landmark Theatres Midtown Art Cinema, Oz Pizza, Grant Central Pizza & Pasta, the Grant Park Farmer’s Market, Mediterranea Restaurant & Bakery, Home Grown Restaurant and Mixd Up Burgers. Retailers surrounding this Georgia state neighborhood include Loose Nuts Cycles, Kids Wear, Barnes & Noble Booksellers, Lowe’s, Kroger, Swifty Carwash and West End Ace Hardware. Properties in Chosewood Park are within close proximity to the center of the city, as the neighborhood is just five minutes from Downtown Atlanta. Georgia State University is about three miles away and a nine-minute drive from the neighborhood. If using public transportation, the school is about a 32-minute commute. Emory University is around seven miles away and a 22-minute drive from the neighborhood. If using public transportation, however, the commute may last more than an hour. As for public transport, MARTA (the Metropolitan Atlanta Rapid Transit Authority) is accessible by residents of Chosewood Park, as multiple bus stations are located along McDonough Boulevard SE, Englewood Ave SE, Hill Street SE and Boulevard SE. Bus lines operating in the area include the 49 McDonough Boulevard route. Additionally, rental costs in Chosewood Park are very cheap at around $700 per month, lower than the national average of $949. Compared to owner financed homes, around 77 percent of residents rent the space in which they live. Moreover, owner financed houses account for around 23 percent of all properties in the vicinity. Most homes for sale in Chosewood Park are valued at a median amount of $85,426, making the cost of living very affordable in the vicinity. Early 1900s craftsman bungalow styles are a popular type of housing in the Chosewood Park area. Most new construction in the area is built with these traditional styles in mind, many of them constructed with modern amenities added on. While many homes in the area were constructed in the early 1920s, more than 60 percent of them were renovated by the end of year 2012. Furthermore, the historic Chosewood Park vicinity provides residents with the 35th-lowest cost of living in Atlanta, compared to 164 other neighborhoods surrounding the area. Chosewood Park is also the 55th-most diverse neighborhood in the city of Atlanta. For instance, 70 percent of residents are African American, 14 percent are Hispanic and another 14 percent are white. Two percent of residents are two or more races. Around 67 percent of residents are male while 33 percent are female. Additionally, instances of violent crime and property crime are rarely reported within the vicinity. Homes in Chosewood Park are occupied primarily by adults between 35 and 44 years of age (27 percent of all residents). Around 21 percent are between 25 and 34 years of age, while 14 percent are between 45 and 54 years of age. An additional 24 percent are either younger than 10 years of age (eight percent), between 18 and 24 (eight percent), or between 55 and 64 years of age (eight percent). An additional seven percent are either between 10 and 17 years of age or older than 65. The middle or elementary campuses of the Atlanta Neighborhood Charter School – Serving grades six through eight or kindergarten through grade five. Charles R. Drew Charter School – Serving preschool, kindergarten and grades one through five. KIPP Atlanta Collegiate – Serving grades nine through 12. The Kindezi School – Serving kindergarteners and grades one through eight. Early College High School at Carver – Serving grades nine through 12. Wesley International Academy – Serving kindergarten through eighth grade. Most households who live in properties within Chosewood Park earn a median income of around $24,616. Fifty-five percent of all households earn less than $25k, and 20 percent earn between $25k and $44k. About 18 percent of households earn between $25k and $44k. While seven percent of residents receive a salary of between $75k and $149k, only one percent of households earn more than $150k per year. As for education levels, 39 percent of occupants have a high school diploma, while 29 percent have an associate’s degree or some college education. About 21 percent of residents did not finish high school, while eight percent hold a bachelor’s degree. Around three percent have a master’s or higher degree.